We've been grazing the last few days because Alex has had insomnia again, so we're on completely different schedules. He can only seem to fall asleep when it gets light out and that's when I'm usually getting up! So we've been eating mostly from the freezer. But last night he got a second wind so we had dinner together, what better than comfort food? :) I made our version of a "Meat Lover's" pizza with ham and bacon; and that three-cheese pizza we loved so much from a few weeks ago (Feta, Mozz and Parm). We watched a few episodes of The Boonies. One of our Blogger friends commented about this show (sorry I can't remember who!) and I had to check it out. It's about people who live off the grid, in treehouses, nomadically off the land and even in a cave! It's quite interesting if you can find it. So far there are only 8 episodes in the one season, I hope they make more! 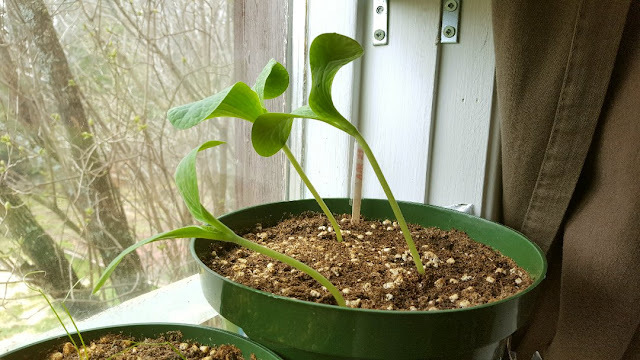 Check out my pumpkin seedlings! I have two pots like this...they will soon be too tall for the window...but this morning it actually snowed so it's nowhere near warm enough to try transplanting them...there is another 5 cm of snow in the forecast overnight, but it's "May snow" which means it'll all be gone the next sunny or rainy day, but still, I wish it would get slightly warmer. Growing my pumpkins reminded me of when I lived on Prince Edward Island. I went to a Giant Pumpkin Festival. It was October of 2009. This was the first time I'd ever seen giant pumpkins and squash! I was so excited about pumpkins that when I got home that day, I knitted one lol...I remember being so proud of myself, finally figuring out what to do with that orange yarn! (sorry, I do not know where I found the pattern, it was 8 years ago and I don't have it bookmarked!) When I'm all settled into my property in a few years, I will have a nice big pumpkin patch. It's always been a dream of mine to grow giant pumpkins too. Just for the challenge! It's been a long stretch of overcast skies and I decided to use my time wisely! I'm a very big fan of self-improvement and self-healing. I did have a rough life, and for the most part, I went the traditional route of meds and therapy; but the most success I've had in turning things around has been to abandon traditional healing methods. I feel so much better when I do things on my own. I'm re-reading this book at the moment and it's so empowering. Does anyone else love these types of self-help books? And in my quest to always help myself, I'm taking this workshop that I found online. Get Rid of Your Anxiety for Good! is a 4 lesson workshop from the website The Daily Om. I go to this website every morning for some motivation and inspiration and last summer I took a few of their workshops and they helped me tremendously. They're more on the New Age side, which is totally me, and I relate to them a lot. I did the first lesson this morning and I have to say I got some amazing insight. I have homework to do for the next week until Lesson 2 arrives in my inbox. It's a "pay what you want" type of cost, the minimum is $10 per workshop, so it's really affordable. Something can be learned from everything in life right? 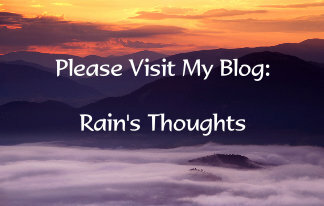 I'm not promoting these books or workshops, just sharing what I enjoy! And this is good food for thought during a very soggy and cold May while I wait for the warm weather!! Love those pumpkin photos! I'm a big believer in self-help books and courses too, so long as it does not require paying big sums of money to suspiciously wealthy gurus. I had two friends who got sucked into "therapy cults" (not scientology but something similar) so caution must always be exercised in this area. I remember that little knitted pumpkin :) and those giant pumpkins. My dream was always to have a pumpkin patch as well. I never managed to grow one tho..lol maybe ill try it again this year. Oh no not snow ... it doesnt want to get warm here ... the wond is still cold even when the temperatures climb up a little. I think in a couole of weeks i will be able to plant my potatoes ... but I wont risk anythibg else yet. We ususally wait til the full moon in june ... after that it should be safe. Pizza and ginormous pumpkins! How cool is that??! HI Debra :) I feel the same way. I'll buy used books, sometimes new, but I don't think I'd pay for a seminar or a "miracle cure" type of dealie! :) I always get something from the self-help stuff, even if it's a reminder of something I already know lol...some are better than others! Hi Nik :) Oh yes, back in the days when we "knit together"...you were at the store still...I remember doing lots of hats and fingerless gloves lol...I'm hoping the arnica gel will afford me some more time knitting this fall! I don't think I'll wait for the full moon in June, but I'll wait until the last week in May that's for sure - but if the temps still stay cool like this, I might not have a choice. I really hope my pumpkins succeed, I'm having such great luck with the seedlings! What huge pumpkins. I finally quit planting them as they seem to just rot in the field and we didn't eat them because we found that butternut squash is a much tastier vegetable. The butternut survives insects and stores all winter so they have replaced pumpkin at our place. Hi Gill :) I actually don't eat pumpkin too much except a pie in October for Thanksgiving, I just wanted to grow them for Halloween carving :) I do love butternut squash, I want to plant those too in the future! I just lack the space right now. The arnica cream must be working if you knitted that pumpkin. That is cute! 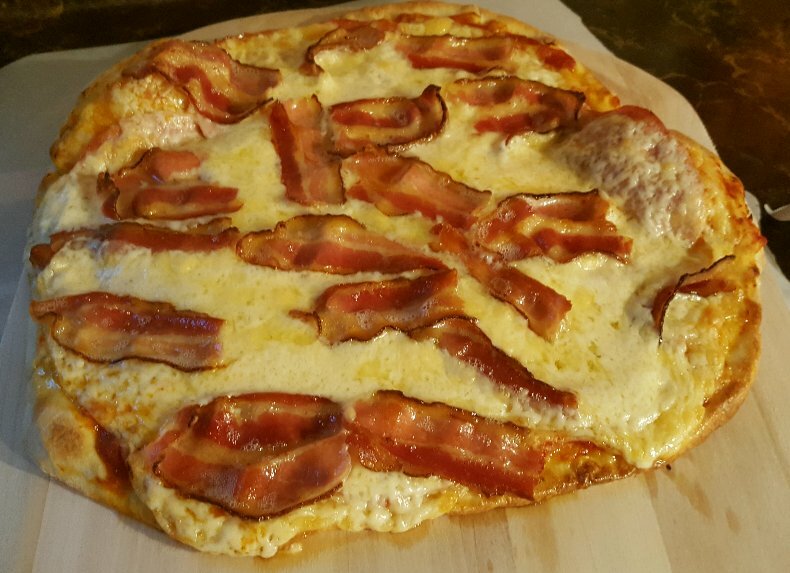 The pizzas look great too. Pumpkin festivals are fun. I have no idea how they manage to get them to grow so large. Mine are middling at best - if I can keep the insects off of them. Love the pumpkin photos! I love growing pumpkins just to have for Samhain and I love watching them grow right before your eyes! Such little things give me such happiness! Nothing wrong with self help and self improvement at all! I echo Debra...as long as it doesn't cost and arm and a leg then I am all for it! Next week I hope to start planting. 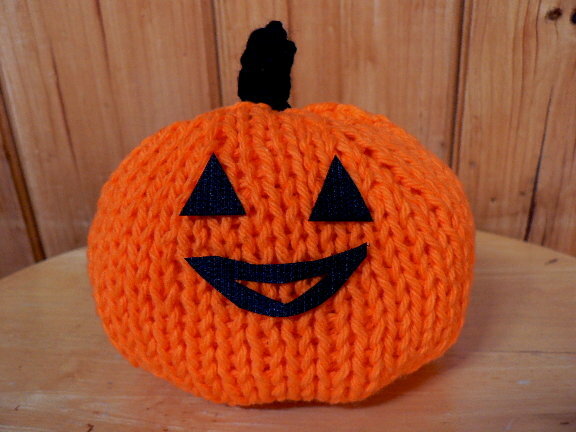 Your little knitted pumpkin would make such a great "fall" decoration! Can't you just hear those healthy little pumpkin sprouts yelling, "Let us out! Let us out! We wanna get out in the sunshine and grow BIG!" 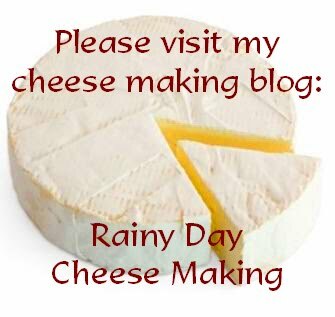 ;o) I've never tried it but I've heard watering your pumpkins with milk (yep, milk!) will make them grow huge. Hi Nancy! :)) I don't think I'll have big pumpkins! The variety I bought this year is called "Aspen". It's a pumpkin for northern climates, they say it's for "short season" growing. But the package says 10-20 pounds, so we'll see! I've seen the seeds for the giant pumpkins, and in the future I'll be trying them out! But imagine how much room you need?? Thanks Kristina :) The arnica cream is working like a charm and I'm so glad I tried it! Hi TB :) I think you need the right seed. They grow them a lot in the Maritimes, so I figure I should be able to grow them myself in the future, wherever I end up :) There are festivals where they carve them out and use them as boats too...those are funny. Hi Dianna! :) I can't refuse pizza ever...I need more self-control lol...Oh gosh, we had a snowstorm yesterday but thankfully it's all gone today, but it's still too chilly out. I looked at old photos, and I see that it was still cold enough for Jack to wear his little coat at this time last year...but the photos from last year showed a lot more sun! Hi John :) I have my fingers crossed that I can start planting in a few weeks, it feels like November here still! Hi Mama Pea :)) That knitted pumpkin was fun, I also made a ghost! I'll post those next October :)). I know what you mean about some of those self-help books. I find a lot of them a little too textbook for me. I try to read the ones from people who aren't necessarily psychiatry PHD's. I like Tony Robbins' stuff because he gives you exercises to do and they're pretty easy to understand. I've already made some great steps ahead just 6 chapters into his book. The workshops for me are just a continuing effort to keep anxiety-free and to learn something more about myself. Actually I did have an anxiety attack 2 nights ago, and Alex reminded me of the technique I'd read about in lesson 1 of the anxiety workshop. I had to ask him to help me, because sometimes when I'm in panic-mode, I can't think straight. So I followed that suggestion she had, and within a few minutes I was okay. Very cool stuff!! I love pumpkins but really prefer the regular ones. I grew them on the farm and we decorated with them. I always wanted to grow some ghost pumpkins...the white ones. Your little knitted pumpkin is too cute! Years ago when I was going through my Mrs. Job (from the Bible) phase I did a lot of self-help books, tapes etc. When I was married I was always trying to improve myself in every area....I still do but at the time my husband made fun of it and said "you should be just about damn perfect by now'.....he could have stood to read a few of those books....we might still be married! LOL! Why is it the people that really need that stuff never imbibe. I have lots of Tony Robbins books and tapes and there were others...Hayhouse was a great resource for spiritual books and 'new age'....I've come through on the other side thanks to God and I survived in one piece and I am happier than ever so keep up the good work! I also believe that you are what you think so quit telling yourself you have anxiety and/or depression....self talk is very important. I had a mantra I would repeat to myself 20 times a day even though the things I repeated weren't true....yet.....they are now! Good Luck and your determination to have the life you want will get you there! 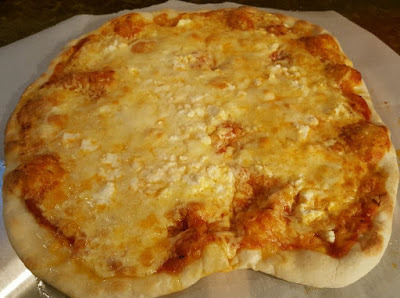 Those pizza's look yummy....I have to make that dough and freeze some. Hi Sam :)) Yes, my pumpkins will be only for decorating :) I never saw the white pumpkins, now I'm curious! I have mantras too that I repeat often. 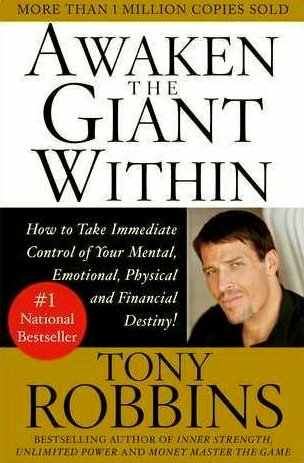 I love Tony Robbins. I think he's fabulous and so positive, when I read his books, my mood instantly shifts. Oh thank you for pointing me to Hayhouse, they have some great stuff there!! I have to look through their titles, then hopefully find them at Thriftbooks lol! ;) I'm really happy that you are happier than ever Sam, it's inspirational! And I know what you mean...those people who seem to really need good advice, don't ever seem to seek it out...or they just make fun of the people trying to feel better about themselves, heal and grow either emotionally or spiritually. Sad, but that's a good weeding process to know who you want in your life and who you don't.